Volcanoes, glaciers and cascading water, Iceland’s magnetic allure is irresistible for the travelling fly fisher. In this land of myths and legends, nature tells it’s own epic saga. From the river of their birth, the mighty salmon make the journey out to sea to grow strong, returning each year bringing nourishment to the land and it’s people. The pristine rivers and lakes are home to four indigenous salmonid species - Salmon, Brown Trout, Arctic Char and Sea Trout - a bounty of opportunity. Sight fish to salmon in crystal clear rivers, search a remote fiord for arctic char, tempt massive trout from volcanic spring creeks and battle sea trout in the southern rivers. This epic land encapsulates the passion and excitement of fly fishing for anyone keen to venture forth. The Langa River is one of Iceland's better known rivers. This river offers great fly water with great access and minimum wading so it is suited for most anglers. The river is perfect for the riffle hitch method. 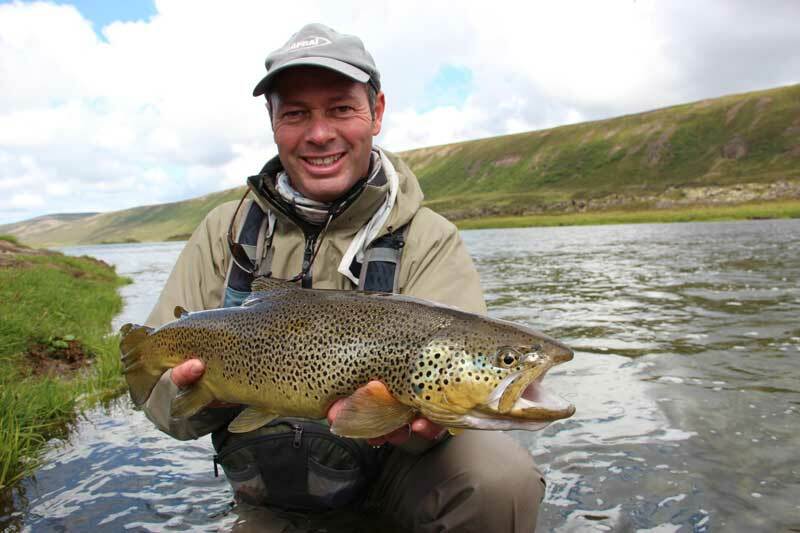 Langa River is only about an hours drive from Reykjavik and the lodge offers great comfort and wonderful meals. The average catch rates are around 1.800 fish on a 5 year average. Despite being practically unpronounceable, Laxa in Myvatnssveit produces some of the best trout fishing in Europe. Forget everything you know about trout fishing when coming here. The power of the river and the fish has to be felt to be believed. To catch 2-3 kilo brown trout regularly on dry fly is fantastic and with fish exceeding 5 kilos in the river you are truly chasing dinosaurs. 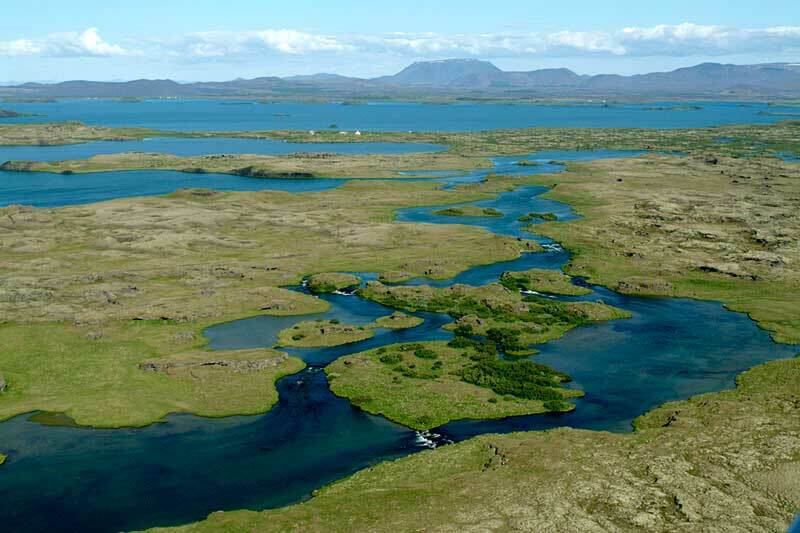 This is the beat below the Laxa in Myvatnssveit and the character of river is different from the upper beat. The river is wider and slower making it the perfect setting for dry fly fishing for enormous brown trout. The average size of trout sipping midges off the surface has to be seen to be believed. Leave your 6X tippet at home for this kind of fishing but make sure to bring your smallest dry flies 'cause these fish can be fussy as well.